Bonus season has arrived for Wall Street Execs. 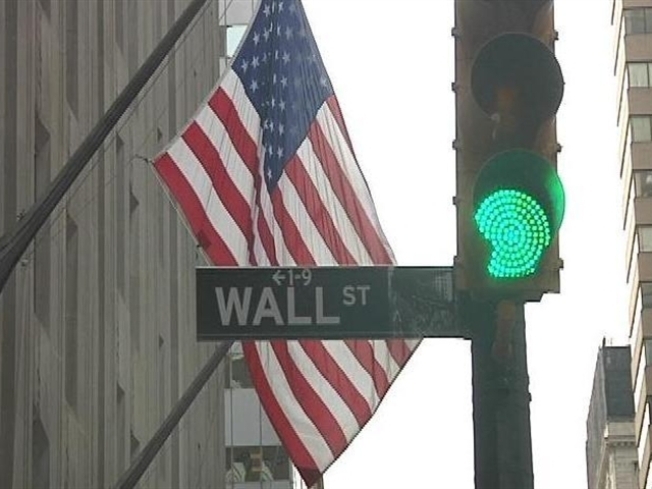 The Senate approved an amendment to the Wall Street reform bill Tuesday that would order a one-time audit of the Federal Reserve if the underlying legislation passes. The amendment, which passed 96-0 with overwhelming bipartisan support, was the product of a deal brokered late last week by sponsor Sen. Bernie Sanders (D-Vt.) and Banking Committee Chairman Chris Dodd (D-Conn.) to make the provision acceptable to White House and Treasury officials, and appealing to Senate moderates. Sanders's modified language sets a firm time window for the review of the Fed—from Dec. 1, 2007 to the day the legislation is signed into law—and restricts the Government Accountability Office from looking into the Fed’s decision-making on interest rates. Fed Chairman Ben Bernanke had serious objections to Sanders’ original bill because he feared it would impinge on the Fed’s historic independence. "The Sanders Amendment makes it clear that the Fed can no longer operate in the kind of secrecy that it has operated in forever," the Vermont senator said on the floor before the vote. "Under the Sanders Amendment, for the first time, the American people will know exactly who received over $2 trillion in zero or virtually zero interest loans from the Fed and they will know the exact terms of those financial arrangements." The Senate voted down, 37-62, an amendment by Sen. David Vitter (R-La.) that was more expansive than Sanders’ amended bill. Sanders's "Audit the Fed" vote kicked off what could be one of the busiest days yet for work on the sweeping Wall Street legislation, with several votes expected and both parties meeting for their weekly caucus luncheons to strategize an end game for the legislation Majority Leader Harry Reid (D-Nev.) still hopes to finish by the end of this week. Though the Senate's plate is full Tuesday with continued reaction to the President's announcement of a Supreme Court nominee and a highly publicized energy hearing on the crisis in the Gulf, the pressure is mounting for the upper chamber to work swiftly and substantially on the regulatory reform bill. Reid kept the heat on members Monday morning by taking to the floor to reiterate the message he has been touting since debate opened on this legislation nearly two weeks ago—that he would like to finish the reform bill by the end of this week. "I still hope that we can pass Wall Street accounting reforms this week. I'm going to do everything I can to see that that happens," Reid said. But filing cloture on the legislation by week's end will be no small task, as the majority leader likely will face push back from even those within his own ranks—including Dodd, who told reporters Monday night he "wouldn't expect" a vote this week and that he was "sympathetic" to "being given an adequate amount of debate." The Banking Committee chairman conceded his priorities are different than those of Reid, who has a larger agenda to consider before the Memorial Day recess, but that he has been conveying Republican concerns about closing debate too quickly to leadership. How long Dodd will continue to push Reid to continue debate on the legislation's amendments, however, is based on how productive these next few days are, making Tuesday's votes all the more important. "I know... Majority Leader Reid is anxious to get this done. And now I want to say to my Republican colleagues, I continue to go out of my way to make sure that they have a chance to be heard," Dodd said. "But I hope no one abuses me in the process. I'm making the case to my Democratic colleagues that Republicans are serious about this. They don't need a lot of time. They want to debate issues. If I get sort of the feeling this is effectively a rope-a-dope here where you're one, claiming you're not getting enough time but you're not using the time you've got, you're going to lose your argument." With the Federal Reserve amendments now off the docket, the Senate is poised to vote on an amendment from Sen. John McCain (R-Ariz.) forcing the government to end its control of mortgage giants Fannie Mae and Freddie Mac within two years. Dodd's bill does not address the two government-sponsored enterprises, drawing strong criticism from Republicans who say their risky loans played a major role in the 2008 economic crisis. Democrats have vowed to overhaul the mortgage companies later in the year. But with a request this week by Fannie Mae for another $8.4 billion in federal aid, Republicans are pressing their colleagues across the aisle to explain why the financial overhaul bill doesn't address the companies. The Democrats are expected to offer an alternative to the McCain amendment that calls for a study by the Treasury Department on ending the government's conservatorship of the two companies and reforming the housing finance system.